It's not what you might think, according to "Bachelorette" JoJo Fletcher. 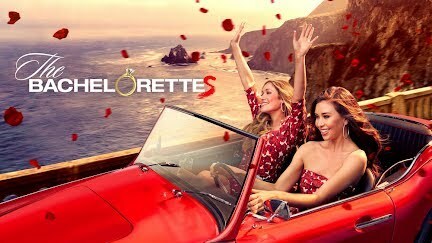 You get to live in a glamorous mansion and look for love while going on extravagant dates in amazing locations around the world when you’re a contestant on ABC’s “The Bachelor,” but there is one scary part most people don’t think about: To appear on the show you have to take a long or permanent hiatus from work — and from a steady paycheck. Such was the case for Joelle (JoJo) Fletcher, who appeared in 2016 as a contestant on season 20 on “The Bachelor” and went on to be crowned as “The Bachelorette” for season 12 later that year. The process did lead her to find love with Jordan Rodgers, but before Fletcher found her happy ending, she had to deal with the reality of leaving her life behind to shoot the show. Now that her tenure on “The Bachelor” franchise has wrapped, Fletcher is back to work, and even started her own business. Before landing a spot on the show, Fletcher worked as a real estate developer in Dallas, Texas. Now, she keeps busy flipping houses, and in 2017, founded Fletch, a contemporary lifestyle clothing collection, with pieces ranging from dresses to sweatshirts. As for aspiring “Bachelor” contestants, to prepare for the potential of not being able to work and make money, Fletcher recommends saving up (even in the real world experts also advise having three to six months of living expenses saved for emergencies, though being cast on “The Bachelor” usually isn’t on the list) and being frugal when you can. “I would really just make smart choices with your money, save where you can,” Fletcher, 28, says. There are other expenses for the show too. Contestants on “The Bachelor” are known for the glitzy evening gowns worn at every Rose Ceremony, which they have to buy themselves. Such clothes can be pricey. In fact, that’s something that Fletcher worried about. JoJo Fletcher says this is the scariest thing about being on ‘The Bachelor’ | CNBC Make It. 1,592 videos Play all The Latest On CNBC Make It.CNBC Make It.